The future of email encryption isn't passwords or zip files. Smarter, simpler email encryption processes make security and compliance easy. Don’t let the complexity and maintenance of a solution pose a barrier to getting work done effectively. 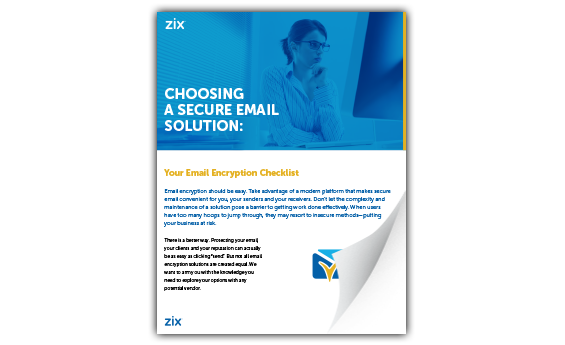 Make sure all the boxes on your email encryption checklist are checked off before you implement a solution.